People around the world observe fasting as a religious obligation but only few of them know the health benefits of fasting. 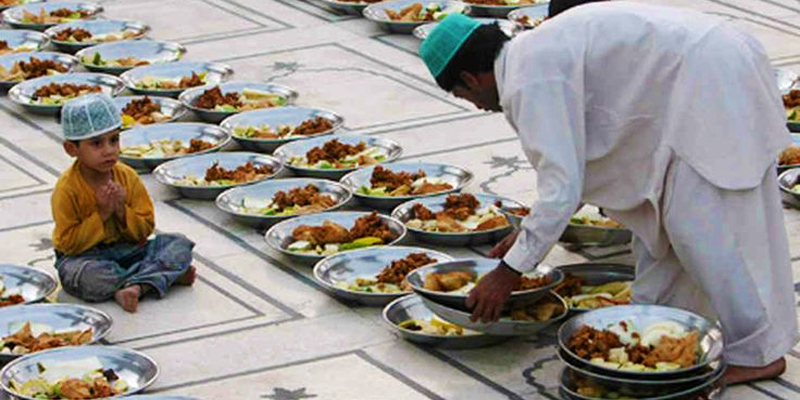 Fasting is a kind of religious diet-plan that tells you that you are not just a body. It has numerous benefits including elimination of toxins from the body and reducing sugar and fats. Additionally, fasting boosts immunity and promotes healthy eating. Among many other, these are 10 top health benefits of fasting. It includes physiological, psychological, mental and spiritual benefits. Food you eat contains lots of additives that many times become toxins in the body. Toxins are stored in fats which causes several health problems. Fasting burns those fats and manages your calories intake. This results into release of toxins and makes your organs work efficiently. Fasting allows your digestive organs to rest. Your body functions normally but at reduced rate. This practice of fasting helps to main fluids' balance in your body. A healthy body can take digestive-system advantage while fasting. Some studies show that fasting helps in recovering and promoting resolution of inflammatory diseases. Putting it simple, in many cases, fasting promotes healing skin diseases and several other allergies. Fasting helps in increasing breakdown of glucose which releases more energy for body. Fasting reduces the production of insulin that allows pancreas to rest. The outcome, in general, is reduction in blood sugar. The first thing your body does when you fast is, it breaks down glucose which further breaks down the fats. Broken fats releases energy that you mostly see in the shape of sweating. So, fasting helps in losing unwanted body fats too. Fasting is one of the natural way of reducing blood pressure. Metabolic rate is reduced during fasting, fear-fight hormones are also reduced that keeps the metabolic system within limits that results into reduction in blood pressure. People observing Ramadan enjoy a positive effect on their lipid profile, which means there is a reduction of cholesterol in the blood. Low cholesterol increases cardiovascular health, greatly reducing the risk of suffering from heart disease, a heart attack, or a stroke. It is easiest way to reduce weight if you fast in a proper manner. It reduces your calories intake and burns your existing body fats. In order to make fasting your weight loss strategy, you must balance your calories intake so your body could function normally. A sound body has a sound mind, we have been hearing it for so long, and it is true. Fasting have positive effects on your body as well as on your mind. Fasting reduces stress levels and improves your brain functions in general. Fasting also helps in overcoming addictions specially the addiction of nicotine,, caffeine and other such substance. Although you need self control for this, fasting can play a role in this too. Apart from physical health, it is also beneficial for your psychological health. It helps you in increasing control over your own self. Your fridge might be full of stuff you like, yet fasting stops you from eating anything that increases your self-control. It helps you in realizing that you are not just your body. You are much powerful than a body. It is not body that superior, but a energy within your body that is also called soul.